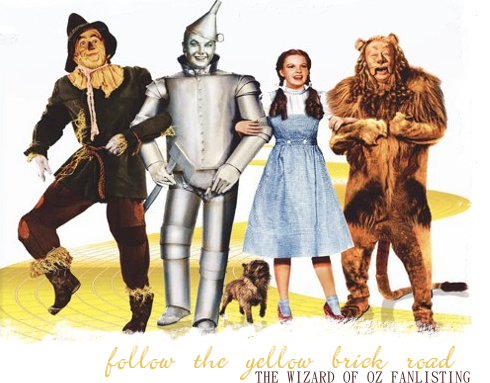 ... to Follow The Yellow Brick Road, the fanlisting for the 1939 classic movie The Wizard of Oz! This movie has been a favorite of mine since I was a little girl and I still watch it at leat once per year. If you are a Wizard of Oz fan, come join the fanlisting! We are listed with The Fanlistings Network under the Movies category, as well as at The Movielistings Network under the Movies category. Thank you to Joey and Shannon, for the members list!